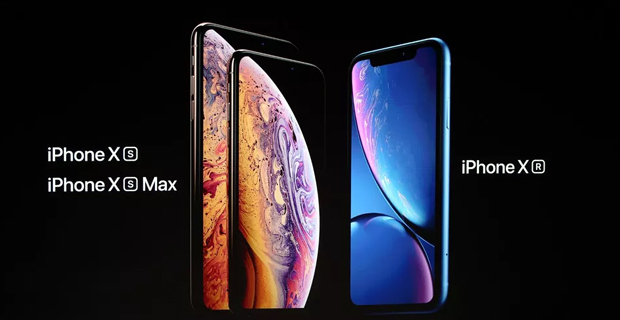 Apple has announced the iPhone XR, XS and XS Max. The iPhone XR is starting at $US749; iPhone XS, starting at $US999, and iPhone XS Max, starting at $US1,099. The iPhone XS is water‑resistant and comes with a 5.8‑inch OLED screen, the same dimensions as last year’s iPhone X. The Xs also features an improved dual‑camera system, with true‑tone flash and new sensors with “bigger, deeper pixels” for better Portrait mode photos. It runs on the biggest battery Apple has ever put in a phone. Both phones will offer dual SIM capability. A third new model, the iPhone XR, comes in colorful aluminum finishes and features a 6.1‑inch, edge‑to‑edge LCD display. Similar to the X and XS, it runs on faster processors and offers enhanced camera settings. The battery will last an hour and a half longer than the battery in the iPhone 8 Plus. The new Watch comes with advanced heart monitors for taking an electrocardiogram, or ECG. Apple says the Series 4 is the first over‑the‑counter device that can take an ECG. The Series 4’s software can also alert users if they might have a heart condition like atrial fibrillation. The new Watch Series 4 starts at $399 — $499 for a Watch with cellular connectivity and is available to order starting Friday. Apple is also dropping the Watch Series 3 price tag to $279.